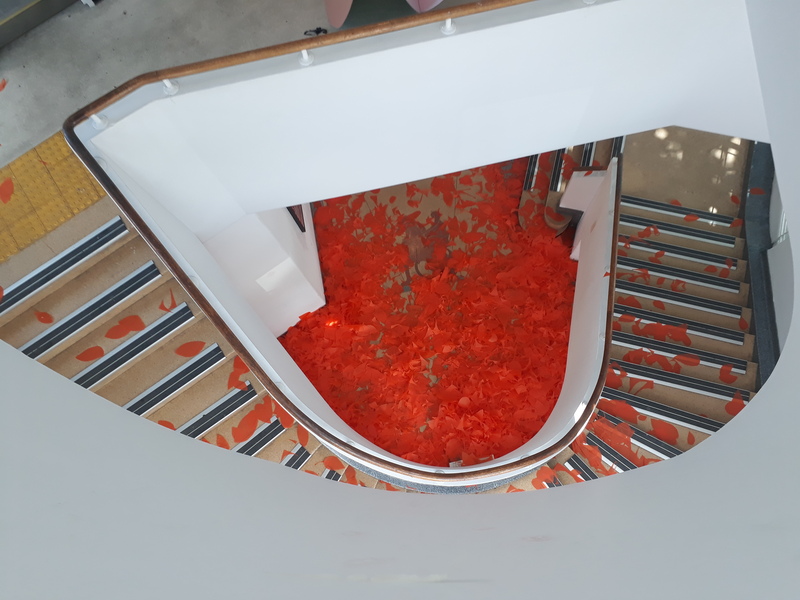 I completed studio practice in 2018 with a performance of 3600 pieces of hand cut orange tracing paper falling in the internal stairwell of Building D at Monash University , Caulfield. It signified the amount of time I had spent working on studio practice whilst completing my Bachelor of Fine Art Degree. 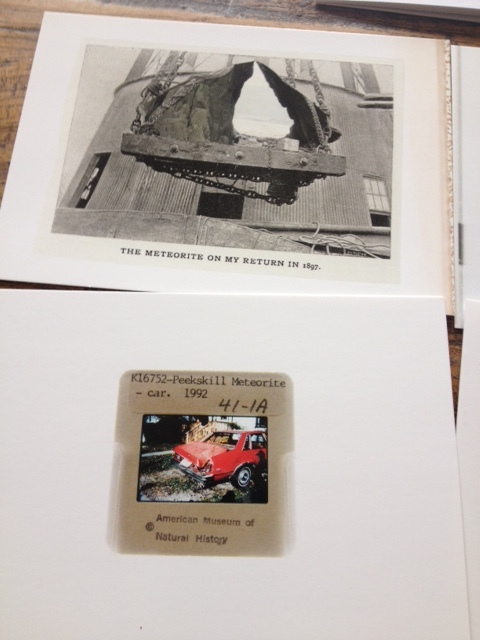 The paper was placed in four black buckets and flung from various elevation points within the space. It was a joyous, embracive and exhilarating work celebrating the support I had received, and the strength through knowledge I now have to embark on my own artistic journey. I survived day one ground Monash. Battling incomprehensible acrynoms timetable confusion, a room full of strangers, and unintelligible requests from the academic cohort, I staggered blindly around the Monash Fine Art Department for most of the day. Studios are cramped, my timetable is not user friendly and my first subject choice denied but I’ll work it out. I got to spend the day with inspirational arts practitioners who will train me, and I colloborated on a joint project the results of which are seen here. 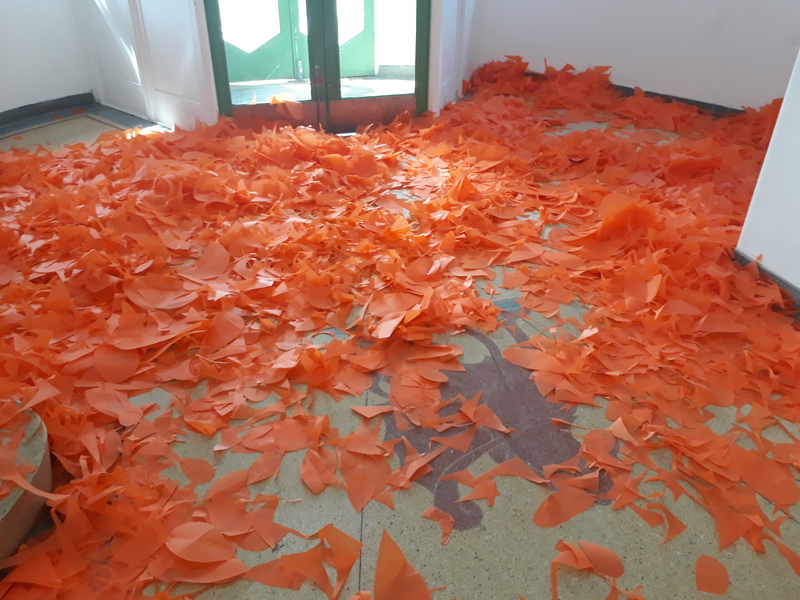 The piece was inspired by a visit to Francis UPritchard’s exhibition imaginatively titled ” Jealous Saboteurs ” and the piece we chose was part of the ” What Happens Next” installation of clay figures. Whilst not specifically the end product I would have desired, it made me think in a team mentality, utilise others skills, and assess how I think and work. 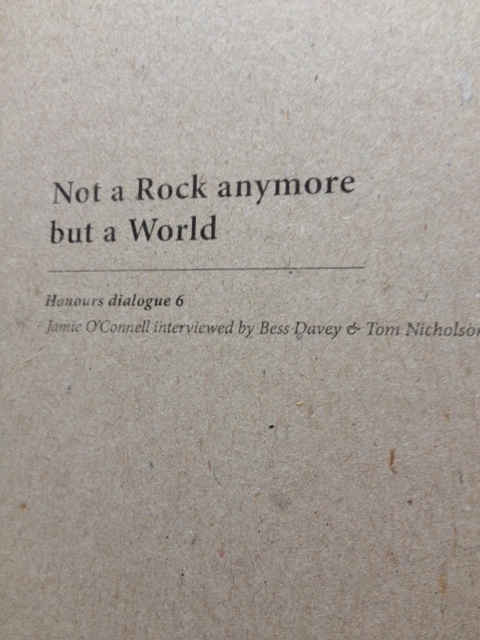 It also made me talk about and question my aims of production. We viewed a unique exhibition by Francis UPritchard at MUMA. It was a retrospective show which included work from her student days. I particularly loved the installation piece of seven identical glasses cases. They were possibly gleaned from an elderly relative over a period of time and assembled devoid of glasses but fitted with tiny volcanic ranges of green velvet echoing her New Zealand home. Its a definitive exhibition of many pieces, sculptural figures, refashioned found objects, childhood possessions transformed and dainty watercolours and incorporation of textiles. Her colour use is superb and the sense of scale challenging, as the pieces are diminutive but perfectly formed in a crouching, defensive position. What I loved is the specific gathering of objects, but the casual way they are treated, indicating Francis UPritchard is not precious about her collection but rather sees it as a living, ephemeral body prevailed upon by human intervention and interpretation. An enlightening footnote was the discovery of a pendulous, spindly spider web on the sculpture ” The Tourist”. The spider had invaded the gallery and added its own signature to the piece, perhaps unconsciously reinforcing the aims of the artist. It was specifically relevant to our piece, “what happens next”. 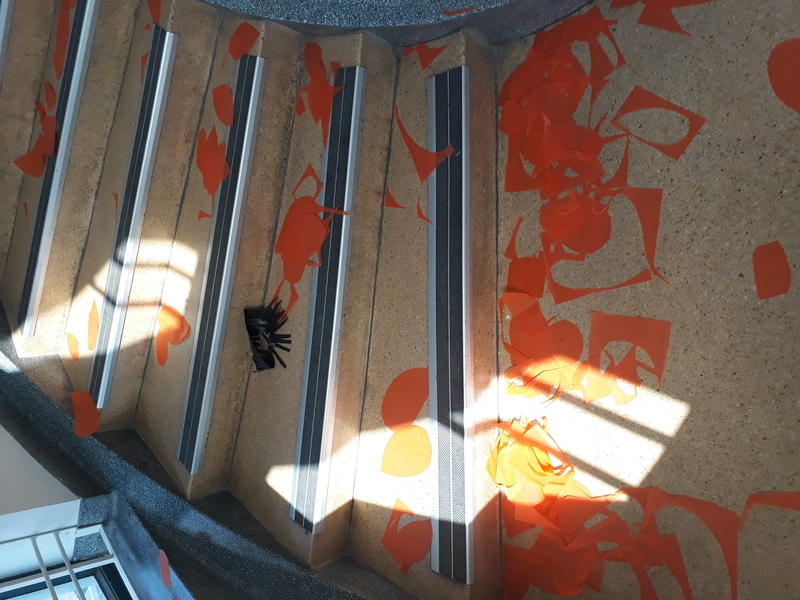 The webs presence caused much consternation amongst the gallery curatorial staff, as did, apparently the renegade spiders presence in the gallery space the day before. I walked to Caulfield, from my home in Elsternwick to see the MADA Graduate Fine Art and Visual Art Exhibition. I wasn’t disappointed. 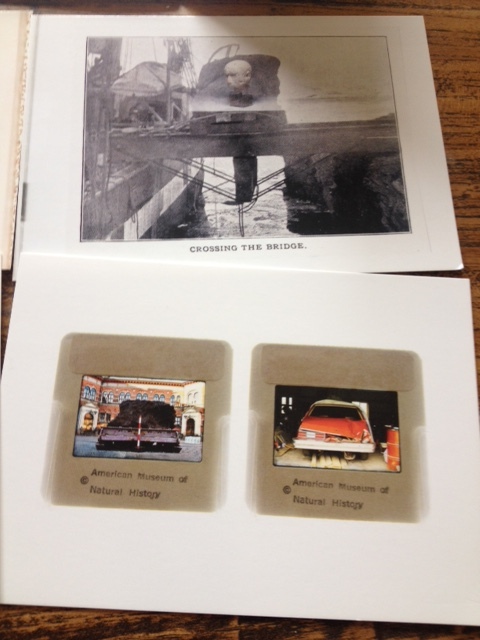 The work on display was extremely innovative, explorative, and visually stunning. It covered a diverse range of visual practice including installation, photography, painting, printmaking, sculpture and drawing. Spread over the entire floors of the old, iconic, former CIT Building, in Dandenong Rd, it embraced a fine visual aesthetic and displayed a comprehensive skill base of the newly graduated practitioners. Of particular interest was the area where the Honours Students were exhibiting. This is the proposed 2016 studio space for the first year, Bachelor of Fine Art Degree students.